Our HL Range includes a 1.5kW, 3kW and 4.5kW version fitted with a gold lamp which creates a warm glow just where you need it. For areas where there are low ceiling or for more confined work areas we have a range of HL heaters fitted with ceramic elements. 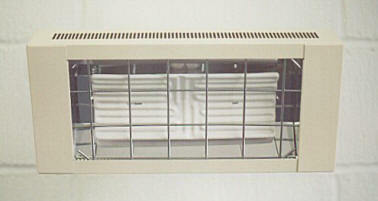 The HL Radiant Heater is very easy to install, virtually maintenance free and costs as little as eleven pence* an hour to run. 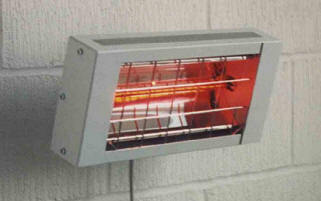 Infra-red heaters represent a highly efficient, economical way of warming people directly without heating the air. They are ideal for creating instant heat when and where you want it, creating a comfortable environment for your workforce. Controllable via movement detectors if necessary. The radiant infra-red heats people directly without the need to heat up large amounts of air. Simple, energy efficient and flexible.